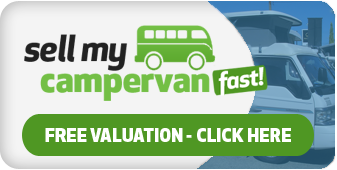 Want to sell your motorhome with no hassle? If there's one thing we know after 15 years in the motor trade, it's how difficult it can be to sell your motorhome or caravan on your own. Our usual clients are those looking to cut out the stress of placing endless advertisements and internet listings, which seemingly result in nothing more than enticing timewasters and unrealistic offers. We know you would wholeheartedly rather avoid all that… The good news is that you can! We thought there had to be a better way. And that better way is Sell my motorhome fast! We offer a fair price. Backed by a quick and hassle-free service. 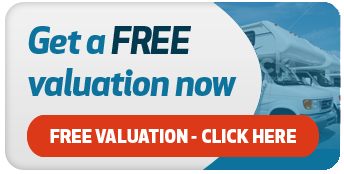 We won't waste your time - you'll get a free valuation that is valid for seven days, mostly within 1-hour of sending us your vehicle’s details. We won't offer you an unfair price - our experience means we know exactly how much your vehicle is worth in today’s market. We won't even ask you to take time out to drive your vehicle to us. (Unless you want to!) 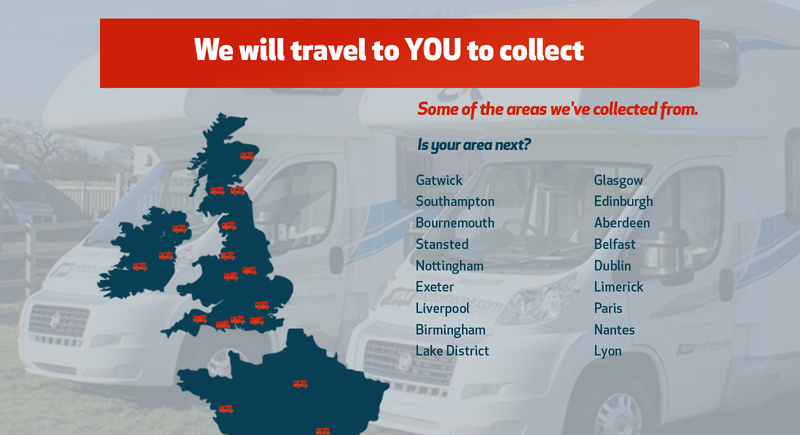 We will collect from anywhere in the UK, Ireland or Western Europe! For 15 years, we have been proud to provide a service that is fair and transparent. You give us a brief but accurate description of your vehicle, we offer you an excellent price, which you are under no obligation to accept. 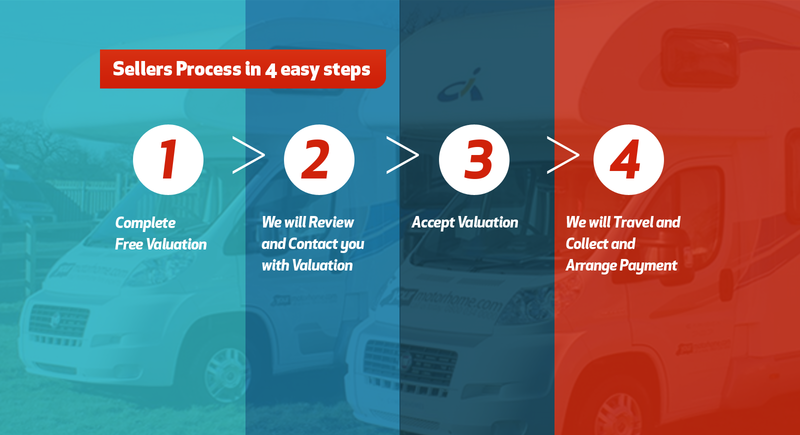 If you do accept, we’ll usually transfer the money on the same day that we inspect the vehicle to confirm the accuracy of the description. And that’s that. Why sell your motorhome any other way? As a company, we always strive to give our customers the best possible experience. 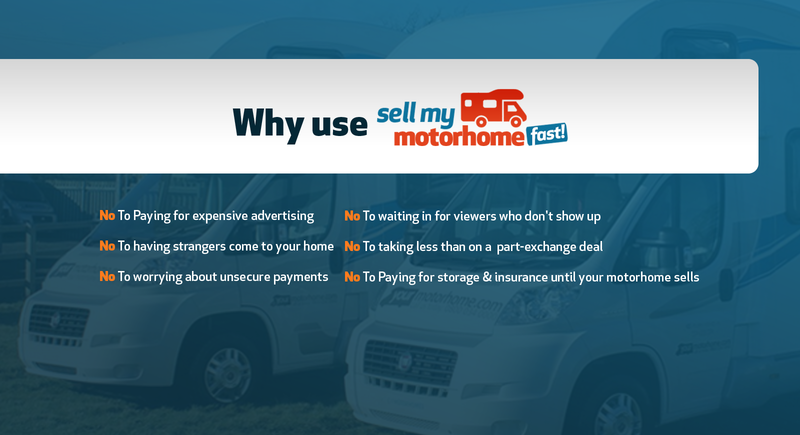 With Sell my motorhome fast.com you won't be kept hanging around, or face a deal that falls through at the last minute. You’ll have 7 days to think it over… if you need that long! Think about it… We ensure the cash offer you accept is in your bank account on the date agreed; we’ll pick up your motorhome at a time that suits you best, we’ll even travel to you if you’re anywhere across Western Europe. 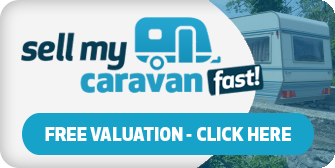 There is quite simply no better way to turn your motorhome into cash. We will even send a driver to collect your motorhome, camper van or mobile caravan from anywhere in Europe. 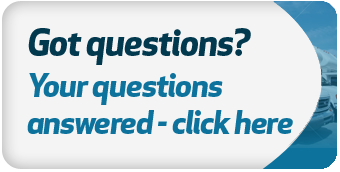 You can learn more about our service by looking at the Frequently Asked Questions. These take the questions we’ve been asked most over the years and bring them together to give you clarity on the entire process. 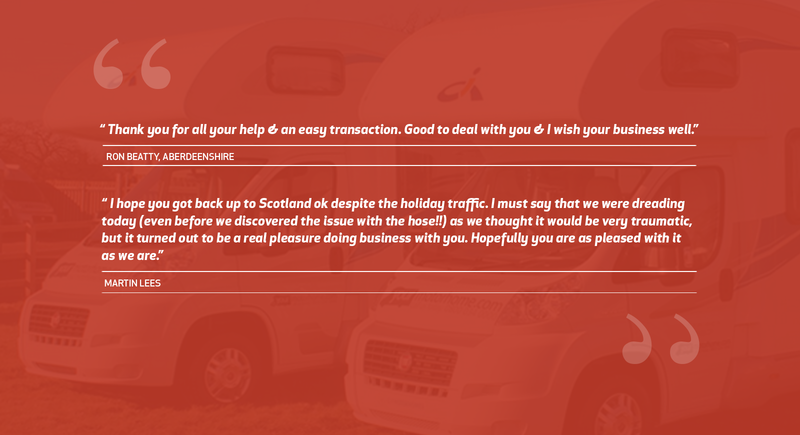 Then the testimonials from our many happy customers can also put your mind at rest. Remember, it’s free, no obligation offer we provide, so there’s nothing to lose in enquiring. Call today on 01764 663341 for the best offer on your motorhome.